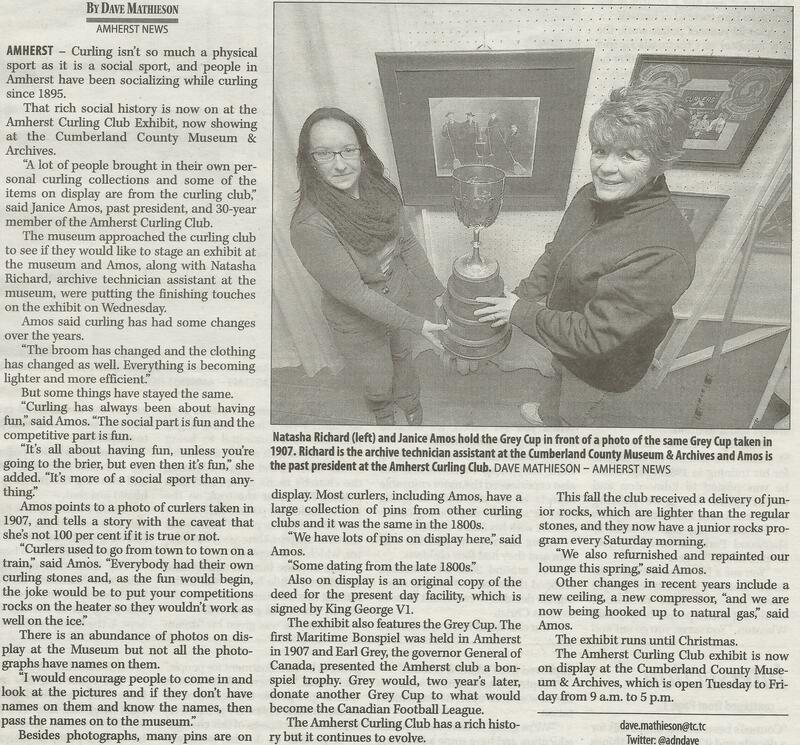 There is currently an Amherst Curling Club exhibit on display at the Cumberland County Museum & Archives. The exhibit runs until Christmas. For more information, see the article from the Amherst Daily News below.